It’s not as though Cuban cuisine is seen as some kind of wonderful undiscovered thing. There are many fantastic Cuban restaurants both inside of Cuba and in other countries. You probably have one or two in your own town. It’s not everyone’s cup of tea (or cup of rum), since traditional Cuban fare is seen as rather basic and heavy. There’s some truth to this, but it’s a mistake to think that this is all there is when it comes to popular Cuban food. It’s like thinking that sushi is the only type of Japanese food available. When you head to Cuba, what kind of food can you expect to eat? There are a fair few foreign influences in Cuba, and you can certainly find Asian and European style dishes. You can even find US style burgers and hot dogs, although these are made by small diners rather than an international chain of burger restaurants (fortunately). But of course, you want to sample what the locals might eat, even if it’s been “dressed up” a bit. 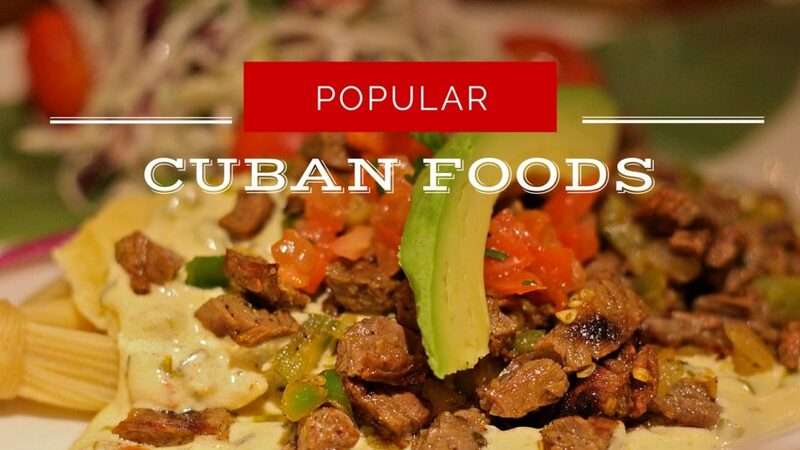 Let’s look at some of the awesome Cuban food that you really need to try. Many people just think of black beans as being something that’s a key ingredient in many Asian sauces (beef and black bean sauce = yummy). This nifty little bean is actually a staple of the most popular Cuban food sensations. 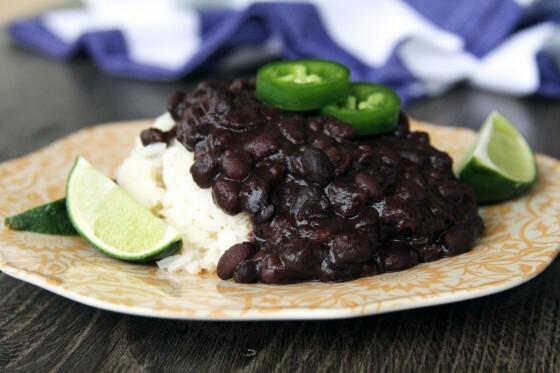 You will see black bean soup on many Cuban menus. Black beans are stewed with a variety of herbs and spices (namely oregano and cumin) until the beans essentially melt into a thick and tasty soup. It’s a basic dish but is totally delicious. It’s often served as a starter but beans are rich in starch and so it can make a completely filling main meal. Have You Heard of Achiote? Achiote is a small tree that produces vibrant red seed pods. It’s hard to track down in many parts of the world, but makes for an intriguing taste. The achiote is made into a flavorsome paste that is typically used for a rub or marinade for chicken. The chicken is generally left to soak up the flavor for a few hours or overnight and is then baked (after being drizzled with olive oil and salt). The achiote results in a crispy and fantastic tasting reddish glaze. You will probably want to find a store that stocks achiote so you can recreate this dish at home. You’re probably used to having your eggs boiled, fried, scrambled, or poached. This style of cooking might seem a little bland once you’ve tried Huevos Habaneros (Havana Style Eggs). The eggs are covered in a sauce made from tomatoes, pimentos, and dry sherry. They are then baked until the yolks are still a tiny bit runny. It’s a taste sensation and you really don’t need anything else for breakfast. Ropa Vieja (Old Clothes) is a weird name for this beef dish and yet the unappetizing name will be forgotten the moment the slow-cooked beef hits your tastebuds. The beef is stewed with onions, garlic and tomatoes, and with a generous amount of sofrito sauce. Sofrito sauce is made from red and yellow peppers with a number of herbs (mainly cilantro/coriander) and some apple cider vinegar for a mildly acidic bite. The beef is shredded once it has been cooked and the subtle flavors have become infused with the tender meat. This popular Cuban food is easy to make at home once you’ve managed to track down some of that sensational sofrito sauce. Meatloaf is pretty standard food in many parts of the world, but Pulpeta Cubana (Cuban Meatloaf) is made with a slight twist. It’s prepared on the stovetop burner on a medium heat, with sauce added throughout the cooking process in order to keep the meatloaf moist and flavorsome. The surprise is on the inside, and the meatloaf is cooked with whole boiled eggs and stuffed green olives in its center. This might not sound like it will work in terms of a taste combination, but trust us… it does. Chicken or pork adobo is something you might see at a Filipino restaurant. Oddly enough, it’s considered to be a traditional style of Cuban cooking as well. In many Filipino dishes the meat is cooked with the sauce, but not in Cuba. The adobo sauce (usually onion, garlic, sugar, vinegar and soy sauce) is simmered before being added to fried pork. It’s a strong flavor, but it tastes like heaven. Plantains are a common ingredient in Cuban cuisine and it’s a great and easy side dish. This is incredibly easy to make once you track down a grocer that stocks plantains (which isn’t that difficult to find). Super ripe plantains are peeled and sliced and then fried in oil until they’re crispy. They are generally fried on one side and then flipped. The plantains are then liberally sprinkled with salt before being served. If you try this one at home, be sure to use a neutral oil such as canola or rapeseed. A strong-tasting oil (such as extra virgin olive oil) can overwhelm the delicate taste of the crispy fried plantains. Plantains can also make for a unique soup. You need two green-skinned plantains for this one, and they’re peeled, roughly chopped and then lightly fried with a diced onion, a diced carrot, a couple of cloves of crushed garlic, and a finely chopped celery stick. You then add around 4 cups (2 liters) of chicken stock and simmer for approximately 45 minutes before blitzing the mixture in a blender until it’s smooth. It’s a remarkable flavor combination that will go down a treat at your next dinner party… or the next time you go to a Cuban restaurant.